There’s a very common sequence of events before your dental check-up. Chances are that you were told at your last appointment that you should brush and floss better. If this describes your last visit, don't worry—you are not alone. Many people don't stick to a strict regiment of oral hygiene and sugar reduction, and often report the same experience: life got busy, you forgot, or just couldn't maintain a daily flossing habit. So while many people will frantically floss before the dental appointment. You know deep down your dentist is going to be able to tell anyway. This can be a frustrating situation for both dentist and patient, who will not experience the desired results and improved dental health that should accompany every check-up. But what if dental caries or bleeding gums were controlled by more than just getting your brushing on point and your sugar habit under control? Many people never follow recommendations to brush and cut sugar, yet exhibit no dental problems. Meanwhile, there are also people who do brush, floss, and eat well and still have issues with their teeth. This may seem like a fluke, but in reality, your nightly routine and sugar reduction aren’t the only piece of the puzzle to great dental health. For a clear dental check-up, you need to eat a diet for healthy teeth (and not just a diet low on sugar). We’ve long thought of teeth as inanimate objects that we need to polish and keep clean. Kind of like a porcelain vase that requires constant superficial maintenance. Well, teeth aren’t like porcelain vases. They are a living functioning part of your body. The way our body manages minerals is guided by calcium balance and the immune system, which are both balanced by vitamin D.
Tooth decay and bleeding gums are the two most common measures of your teeth. Both are chronic diseases. Tooth decay is the most common chronic condition in kids, and bleeding gums is the first sign of gum disease. Gum disease is a chronic inflammatory disorder. It’s not just a sign of your gum health, but also a sign of your gut health. While we’ve focused on polishing our teeth to keep them clean and white, we’ve failed to look at what’s going on in the body that can also impact dental health. Vitamin D plays a key promoting dental health and helping prevent tooth decay and gum disease. Tooth decay isn’t necessarily associated with good oral hygiene. Many traditional cultures never touched a toothbrush and had very little tooth decay. One of the main factors for this is vitamin D. We know that vitamin D is absorbed in the body when sunlight hits the skin. Vitamin D is crucial for building healthy bones, as it allows your digestive system to absorb calcium from your diet. Calcium is the raw material that—with phosphorus—creates the bony structure that makes up tooth enamel. Under your enamel is the dentin. Dentin contains live cells that the body uses to protect the all important blood supply and nerve inside your tooth. Your dentin contains ‘guardian’ cells that sit at the border of your enamel and release immune factors. They can repair damaged dentin, but only if there’s enough vitamin D present. If your vitamin D levels are low, then your defense system doesn’t have the fuel to protect and repair infected teeth. Oral hygiene is recommended by your dentist to prevent gingivitis. Also known as bleeding gums, gingivitis is a sign of inflammation. Gingivitis isn't just a sign of poor dental health; it’s also a sign of an inflamed immune system. Your mouth is an extension of your gut microbiome where 80 percent of the immune system is primed. Like the gut, the mouth is an interaction between microbes and your own immune cells. Vitamin D plays a role in managing the immune system. It controls how and which immune cells are formed. Kids who are vitamin D deficient have shown to be at higher risk of tooth decay. This relationship is relative to both deficiency and insufficiency. The standard blood test for Vitamin D is blood level measurements of 25(OH)D.
For example, kids considered deficient were at highest risk. And however, kids that were measured as vitamin D ‘insufficient’ had a relatively increased risk of tooth decay. If you or your child have experienced tooth decay, you should have your vitamin D checked. For the most part, patients with tooth decay are between 20-40ng/ml. You should aim to be between 60-80ng/ml. More studies are needed in these areas, but vitamin D supplementation may lower your risk of gum disease. Lifestyle: Get 30 minutes of natural sunlight per day. Supplement: I always recommend diet as the long-term way to manage vitamin D, if you are deficient (below 25ng/ml) you should consult with your health care professional regarding supplementation. Remember that D3 should always be taken alongside adequate vitamin K2. Vitamin D is one of the biggest contributors to your dental health and lowering the risk of tooth decay and gum disease. 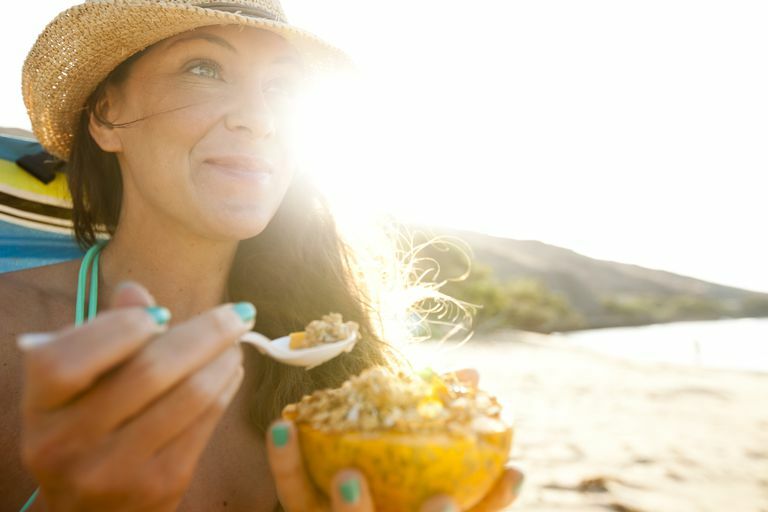 You can manage your vitamin D levels through lifestyle and food. Remember that eating for healthy teeth is eating for a healthy body. At your next dental or doctor's appointment, make sure to ask about your vitamin D levels. Anand N, Chandrasekaran SC, Rajput NS, Vitamin D and pediodontal health: Current Concepts, J Indian Soc Periodontol. 2013 May-Jun; 17(3): 302–308. Aranow C, Vitamin D and the Immune System, J Investig Med. 2011 Aug; 59(6): 881–886. Engstrom C, Odontoblast metabolism in rats deficient in vitamin D and calcium. IV. Lysosomal and energy metabolic enzymes. J Oral Pathol. 1980 Jul;9(4):246-54. Farges, JC, Alliot-Licht B, Baudouin C, et al. Odontoblast control of dental pulp inflammation triggered by cariogenic bacteria, Front Physiol. 2013; 4: 326.